iOS 6 Unthered is Ready for Download! There are lots of people who are waiting for this jailbreak for the iOS 6. Mainly because they can install paid applications from other sources without paying for it. Earlier, I went to Greenhills Shopping Center to check on those people coming for the jailbreak. Indeed, people are really there because of it. People are paying good money to have the jailbreak on their phones. From 300-500 pesos, they are saved from the hassle of waiting for the download and installing the jailbreak into their phones, most of all bricking their iOS device. But of course there are some people who feel safer to download and install it by themselves. This jailbreak is a lot easier to install from the previous version. If you know how to read and follow the instructions, this is just a piece of cake. Known as Evasion, the untethered jailbreak is ready for download. This jailbreak is compatible with iOS 6.0 or later and devices iPhone 3GS up to the latest iOS device. 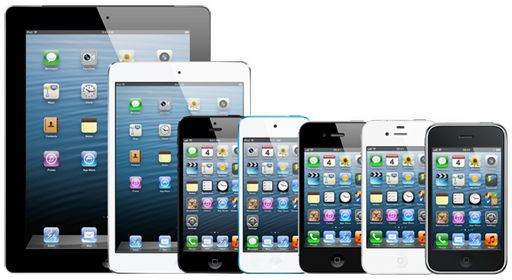 The installation of this software is made easier and user friendly than the previous iOS jailbreaks. Working on machines running on Windows XP (or later), Mac OS X. So, iOS users… Will you be getting this jailbreak installed on your device? Reminder: Read carefully and Follow the instructions. You don’t want to mess up your super expensive phone or tablet.